Cricket takes its place among the giants of world sports thanks largely to its popularity in the subcontinent, where it is an obsession as well as a medium for gambling. The game has exalted status in India, Pakistan, Sri Lanka and, increasingly, Bangladesh, with these countries boasting a combined population of more than 1.6 billion. Cricket also is embedded in the cultures of England, Australia, South Africa, New Zealand, Zimbabwe and the West Indies. It has gained a foothold in the likes of Ireland, Scotland, the Netherlands and Kenya. There are an estimated 120 million players worldwide, making it one of the heavy hitters among sports, second only to football (soccer) for participation numbers. Essentially it’s a bat v ball game with 11 players per side in organised games, and is played on a large field with a 22-yard long pitch at its centre. Though thousands of scratch matches played across cricket-mad countries pit a couple of batsmen against the rest, with one person bowling and the rest scattered as fielders. Long summer days of childhood in cricketing countries are spent dreaming of one day striding out into the centre at Lord’s, the MCG, Wanderers and Eden Gardens. Where baseball has staked an overwhelming claim as the summer sport of choice of countries such as the US and Canada, cricket rules in many parts of the world. It can be seen as a somewhat anachronistic game by sports fans bemused that any contest can last five days. But the game has undergone radical change in recent decades, with Twenty20 cricket rapidly gaining favour. T20 is far removed from the unhurried demands of Test cricket, though purists see the shortest form of the game as eroding players’ techniques and discipline. Still, the numbers don’t lie, and the shortest form of the game is attracting enormous crowd and viewing figures and is popular with bettors. The game originated in England around the 1500s and went along for the ride as the British Empire expanded. In the early days it was reportedly played with a lump of sheep’s wool for a ball, which would be handy these days if you were facing Dale Steyn, and the ball was delivered underarm. The game thrived and by the 1600s it had become a well-organised and popular sport on which to bet. In the 18th century it was the national sport of England; the Marylebone Cricket Club, still prominent today, was formed in 1787, with its home at Lord’s at St John’s Wood in London. Over-arm bowling came into vogue in the 1800s as the game became ever more organised with the formation of the English County Championship and the rise in popularity of the game elsewhere in the empire. In 1876-77 the first Test match was played between Australia and England at the MCG. This was the start of the game’s most enduring rivalry, later known as the battle for the Ashes. The game continued to grow and evolve in the 20th century, with limited-over contests becoming a regular fixture from the 1960s onward. In the 21st century the game continues to thrive. With the rise and rise of Twenty20 added to the existing schedule of Test matches and one-day internationals, barely a day goes by without an international contest of some sort. And nearly all matches between the top nations are televised. International matches range in length from Twenty20 (20 six-ball overs per side) to five-day Test matches, during which a standard day’s play is 90 overs. There are also one-day matches (50 overs per side). Here is a brief rundown of the variations. These five-day contests are played only at international level. Test cricket is considered the ultimate for players, though these days the enormous money on offer in the shorter forms of the game has turned the heads of more than a few stars. There are 10 Test-playing nations. Matches are scheduled by the International Cricket Council and consist of two innings per team. There are three possible outcomes for completed matches: home win, away win and draw. Arguably the greatest rivalry in the sport is the contest for the Ashes between England and Australia, though India-Pakistan contests hold great animosity. The shorter format is believed to have been introduced in India in the 1950s, before being adopted in County cricket in the 1960s. At an international level it arrived in the 1970s, with the first Cricket World Cup in 1975. The players don’t wear the traditional whites of Test matches, instead wearing varying designs incorporating national colours. 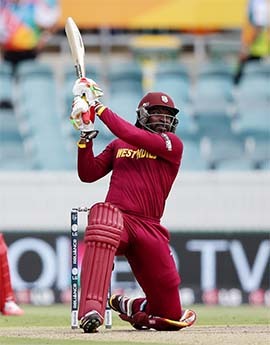 In ODIs each side has a maximum of 50 overs to bat, with bowlers permitted a maximum of 10 overs. These are often day-night contests with the team batting second doing so under lights. Twenty20 has stolen a lot of thunder from this format, though it is still considered a more searching all-round test of a team’s ability. This is an all-action format and has captured the imagination of the younger generation of fans. It is played at international level and there has also been huge support for other competitions such as the Indian Premier League, Australia’s Big Bash League and England’s T20 Blast. Each team has a maximum of 20 overs to bat, meaning the batters are on the attack from the first ball. The format has taken earnings for players to a new level and is also credited with extending the careers of some players in the veteran category. The format was first used in English domestic cricket in 2003, with the first men’s international played in 2005 between New Zealand and Australia in Auckland. The format has not looked back. The first ICC World T20 was played in 2007 and has been played regularly years since. All the ICC full member nations have strong domestic competitions that often include long-form, one-day and T20 formats. County cricket in England for example, has four-day matches, one-day matches with 40 overs per side plus a T20 competition. 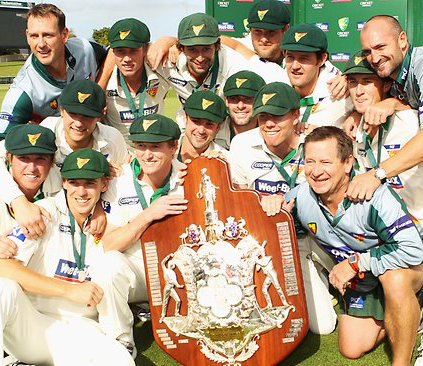 In Australia, the state-based Sheffield Shield also has four-day matches, plus a one-day series and the Big Bash League, which is played over about six weeks each December-January. The Indian Premier League is on each April-June though, given the number of imported players, can scarcely be considered a domestic league. Match result: The most straightforward bet for cricket games. You can wager on either of the teams winning or the draw. There is also the tie, which is far more likely in a limited-over match than in a Test match. In Test history, there have been only two ties in the 2000-odd matches since 1877. High bat: Pick the highest-scoring batsman in a particular innings or match. Be aware that there may be separate markets for first and second innings in a Test or first-class match. You can also bet on the top-scoring batsman in a series or in a tournament. Most wickets: Bet on which bowler will take the highest number of wickets in an innings, match or series. Or to be the leading wicket-taker for their team or outright in a series or even a round-robin competition such as the preliminary rounds of the World Cup. Series/tournament result: Bet on which team will win a head-to-head series or tournament well in advance of the event. Or bet on the exact series result; for example, in a five-Test Ashes series, you may fancy a 3-1 result to the home team. The odds can be lucrative. Coin toss: Yes, seriously. You can bet on which captain will win the toss before the start of play. You must also take into account the toss can be crucial in deciding the outcome of any match, given the changing conditions. Highest opening partnership: Which openers will get their team off to the best start, numerically at least? Method of first dismissal: Will the first wicket fall caught, bowled, caught behind, leg before wicket, run out, stumped or in some other way? Live betting on cricket: In-the-run betting is enormously popular on cricket, with all sorts or permutations available. In certain jurisdictions you can bet ball by ball, predicting if the next ball will bring a wicket, boundary or even a wide. You can gamble on who will be the next man out, whether a player will reach a milestone or fall short. As mentioned earlier, the options are endless. We have covered the main options for those wishing to bet on cricket, though we will go into greater depth elsewhere. The amount of money wagered each year on cricket is staggering, and also difficult to calculate given much of the betting in countries such as India is not recorded through official channels. Indian punters wager billions each year, largely through unregulated, illegal bookies. Betting from India on sports is a grey area though some of our recommended bookmakers do permit Indian residents to join, including Bet365.com. Lagaan – Once Upon a Time in India (2001): Starring Aamir Khan, this thing runs longer than a T20 match but is a Bollywood masterpiece. Peasants in an Indian village challenge the status quo and play their British masters in a match to rid them of their land tax (lagaan) for three years. Patiala House (2011): An Indian sports drama starring Akshay Kumar as a fast bowler. Said to be loosely based on the story of Monty Panesar, the England Test spinner. And Monty’s always entertaining. Save Your Legs (2012): Starring Stephen Curry, Brendan Cowell, Damon Gameau. An Australian film in which a knockabout team of suburban cricketers from Melbourne heads off for a three-match tour to India, with the dream of meeting Sachin Tendulkar. Hilarity ensues. Badger’s Green (1934, 1949): We have gone old school here. These are based on a 1930 play in which a village’s survival depends on the outcome of a cricket match. The 1934 version is missing from Britain’s film archives. Slumdog Millionaire (2009): OK, so once again the team at WGL has strayed from the path. This is not really about cricket but it does play a part and the film is an absolute belter. Hansie (2008): South African film detailing the fall from grace of the charismatic former captain Hansie Cronje, who was embroiled in a match-fixing scandal. Fire In Babylon (2010): A British documentary about the mighty West Indies teams of the 70s and 80s, which featured the most feared pace-bowling battery in the game’s history: Marshall, Holding, Garner, Croft and more. Plus a collection of gun batsmen led by the Master Blaster, Viv Richards. Chennai 600028 (2007): One of the first independent Tamil movies and a surprise hit. Set around street cricket in India, it was also later remade in Sri Lanka as Super Six. Hit For Six (2007): A Barbadian film which features plenty of West Indies cricket identities. A cricketer tries to redeem himself and make it back to international cricket. Playing Away (1987): A few good laughs as a village cricket team invites a team of West Indians from South London for a charity match. Herald Sun: New Limited’s flagship newspaper in Australia. The online edition includes most of the coverage from the media company’s network of sites. Does have a paywall but you get 30 free articles per month. The Times of India: The best English newspaper in India. It’s not really news in India unless it involves cricket, so of course they cover the game the world over. The Guardian: Probably less brutal than some of the other English newspapers, but has an extensive coverage of both England and the world game. You find some beautifully crafted articles here. Cricket South Africa: None of the South African online publications do cricket overly well. The official South African cricket site does give you all the latest news about the Proteas.